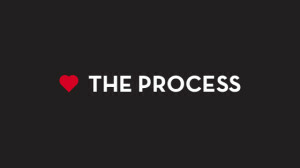 The Process * FeaturedDate® Matchmaking Agency "Where Your Search Ends & The Connection Begins " - FeaturedDate® Matchmaking Agency "Where Your Search Ends & The Connection Begins "
Welcome to The Process. We are so glad you are here! FeaturedDate Matchmaking Agency wants to make a lasting difference in your life. How do we go about that? By finding out who you are! People are usually surprised at how fun the interview can be. A series of questions begin about your life, family, values, religion, activities, hobbies, and past relationships. Some people may even get a new found sense of who they are and what they are looking for in a significant other. And remember, we do not believe in high-pressure sales tactics. Rest assured, when you schedule a complimentary appointment with our matchmaker, there will be no obligation whatsoever. We like to remain professional and respectful of potential clients. In this ten minute phone conversation, we give you information on our company, talk about what you are looking for, discuss if we have what you are looking for, and answer any questions you may have. If we do have what you are looking for and you are interested in meeting with us, we schedule a no-obligation interview. Our no-obligation interview usually lasts about sixty minutes and we go over an array of topics such as life goals, hobbies, values, religion, and past relationships. Some people may even get a new found sense of who they are and they are looking for in a significant other. (3) We Find Your Match! We will call you to give you all of the information about your match along with the details on when and where you will be meeting your match. We call you the day prior to your match to remind you of your date. (5) You Get to Meet Your Match! We make reservations for you and your match to meet at one of our partnered restaurants under first names only so you will not have to mention FeaturedDate Matchmaking. If you feel inclined, be prepared to exchange contact information so you can keep in touch with your match. We will call you (or you can call us) to give feedback about your date. We want to hear everything you enjoyed about your match! Schedule An Initial introductory Phone call, Today!